Tucked away in the foothills of Table Mountain next to the iconic Bo-Kaap neighbourhood is Protea Hotel Fire & Ice! Cape Town. In line with staying ahead of the trend, the hotel is getting a fresh look in all its bedrooms that’s bound to appeal to visitors from around the world. Since opening its doors, it has been known as a sophisticated haven reflecting the local chic and cutting-edge attitude that gives the suburb of Tamboerskloof its charm. 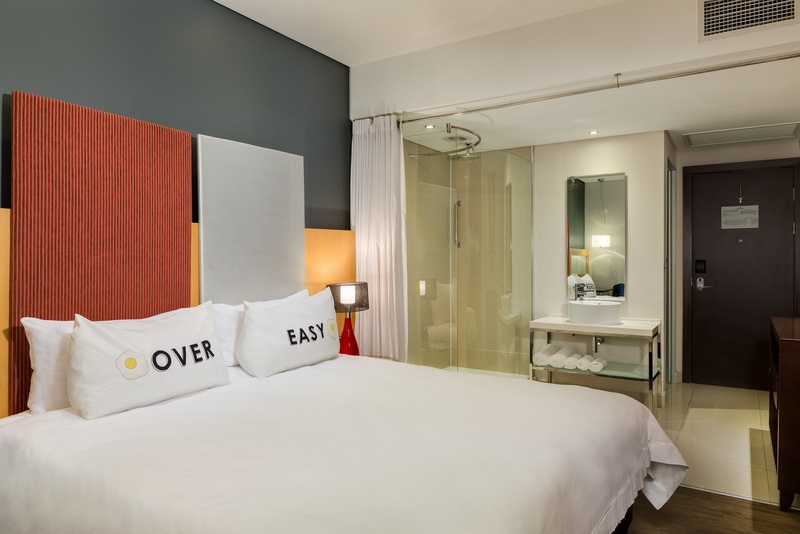 It’s an affordable home base for exploring the vibrant city centre, being close to the V&A Waterfront, the unparalleled natural surroundings of Table Mountain and the bustling restaurants and shops of Bree, Kloof and Long Streets; the heart of night life in the city centre. It’s ideal for leisure travellers seeking a central spot to tackle their exploration adventures and the business traveller for whom convenience is a must. The Bo-Kaap is a colourful, spicy neighbourhood that’s deeply linked to the city’s heritage and culture, with friendly locals who are marvellous storytellers; curators of Cape Town’s history. The hotel has long been established as a trendy hangout and, with its Warm-up Sessions for music lovers, comedy nights and exciting menu options, including the great African menu, this is a venue well worth visiting.